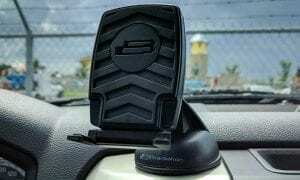 Like smartphone cases, there are plenty of dash and windshield mount docks for your smartphone. 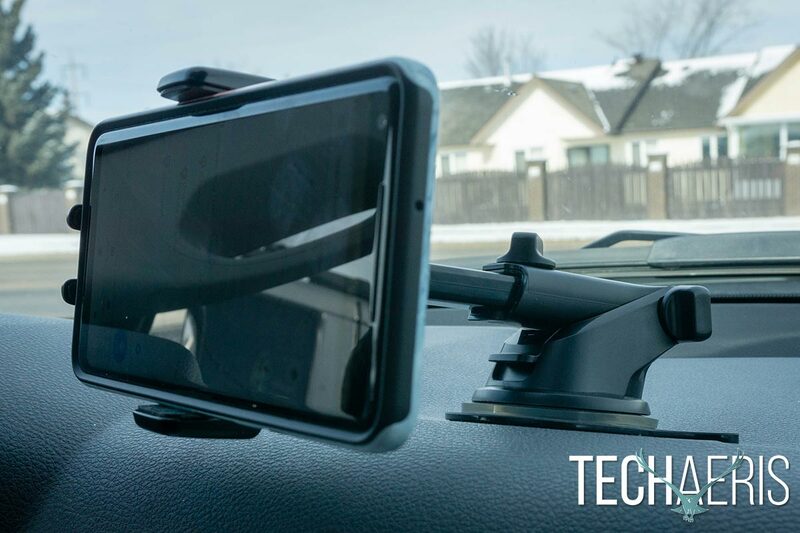 Considering the distracted driving laws in most jurisdictions, a dash mount is almost a necessity if you use your smartphone to navigate anywhere. 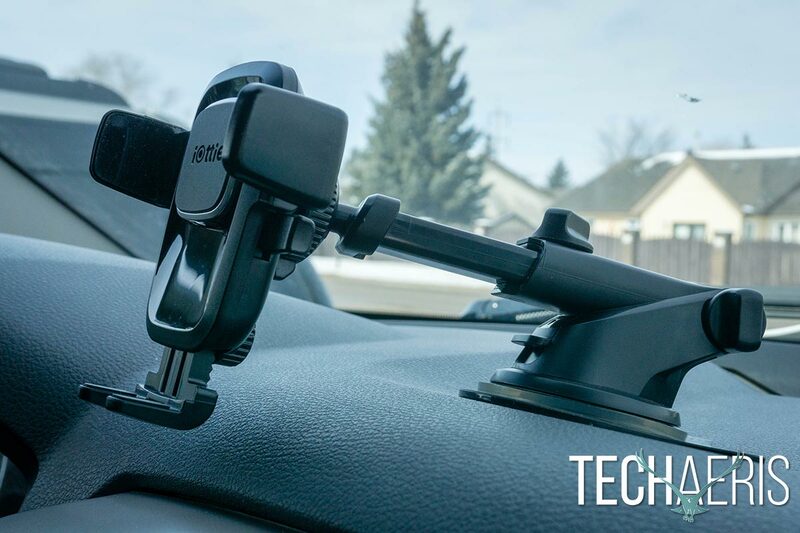 Our iOttie Easy One Touch 4 review takes a look at a dash or windshield mount with a telescopic arm and an easy to use one-touch operation system. 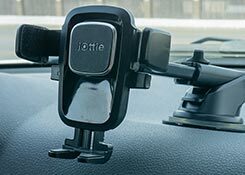 The iOttie Easy One Touch 4 Dash & Windshield Mount is comprised of three pieces: the telescopic arm, the smartphone cradle, and the dashboard pad. The telescopic arm attaches to the smartphone cradle via a ball joint and cradle knob. When tightened, the cradle knob holds the cradle in place nicely but still allows for some minor adjustments which is a nice feature for fine-tuning positioning. The cradle attaches to the arm by way of an adjustable ball joint/cradle knob. In the middle of the cradle, near the top, is the Easy One Touch Trigger with the iOttie logo debossed into it. The locking side arms are on either side of the trigger and below these are the release bars for opening up the side arms. At the bottom of the cradle is an adjustable foot for helping hold your smartphone in place. The iOttie Easy One Touch 4 Dash & Windshield mount. The main arm is adjustable by an extra 1 3/4″ via the telescopic knob located on the arm. Depending on how you have it set up, the arm has a reach of 4.9 to 8.3″ when you take the base angle into account. Where the arm attaches to the base is a pivot knob which allows you to change the angle of the arm a full 225º to make it easier to position it for your desired viewing angle. The telescopic arm allows for more precise placement adjustments. The suction base is roughly 2 1/2″ in diameter and fits nicely on the roughly 2 3/4″ diameter dashboard pad. The suction base consists of a sticky gel as well as the typical suction pad so it really suctions tight onto the pad. In addition, the suction base can be rinsed in warm water to reuse if you ever have to move it to a different vehicle. While it looks like a complex dash mount, the iOttie Easy One Touch 4 is pretty simple in design. One thing to note, given the design of today’s dashboards I had to get a bit creative as to where to put the dashboard pad and mount. Thankfully, the telescopic arm allowed for placing it farther back on the dash without sacrificing the distance I like to have my phone screen from me when driving. Assembly of the iOttie Easy One Touch 4 is pretty simple. Start by removing the cradle knob, placing it over the ball joint, then connecting the mounting cradle to the ball joint, and finally, tighten the cradle knob back in place. Once that’s done, if you’re using the included dashboard pad, you’ll want to place that on your dashboard where you want the mount and press down firmly around the edges and throughout the center. 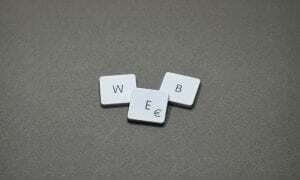 Our first go of it, we pressed it down in place but the center didn’t stick down. While it didn’t affect its ability to hold the dash mount to it, it did peel off rather easily. The mount is easily usable in landscape or portrait orientation. Once the dashboard pad is in place, iOttie recommends you wait 24 hours for it to fully adhere before placing the mount on it. Making sure the suction lever is in the up position, remove the plastic piece from over the suction cup, place the cup on the dashboard pad, and finally move the lever to the down position. At this point, the suction cup will adhere to the dashboard pad and you’re good to go. 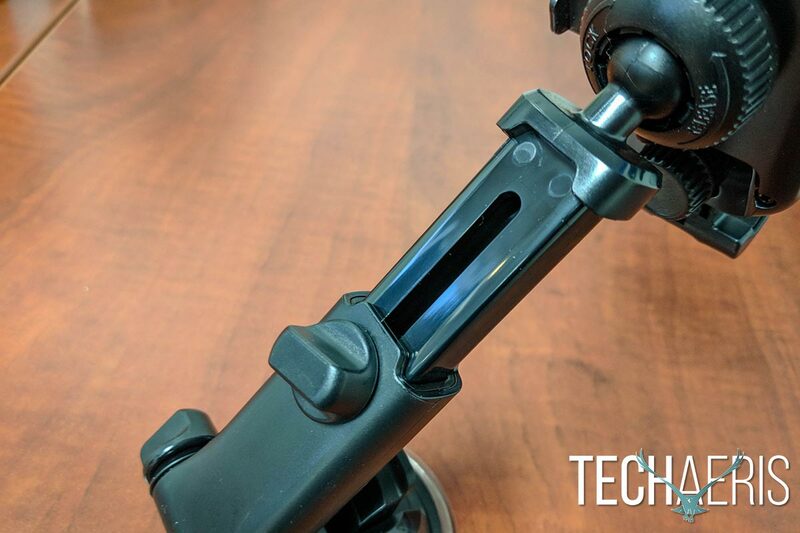 After using the various knobs to orient and extend the mount to your liking, pressing the two side release bars on the front plate will expand the smartphone cradle arms. 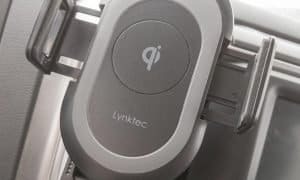 Place your smartphone against the iOttie pad between the arms, push lightly, and the locking side arms will snap into place gripping your smartphone on either side. That’s all there is to it. Dash mounts don’t require software to use but iOttie does make mention of using it with their iOttie DriveSmarter app for Android. There’s not much to it to be honest as all it really does is lets you take a picture and make a memo of where you parked. If you have Bluetooth in your vehicle, it will also tag your location automatically. 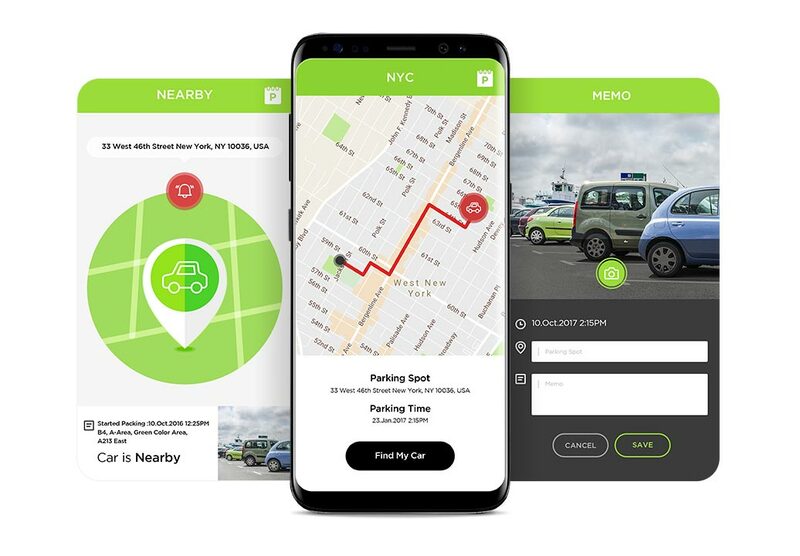 In either case, it will also track your route from your parking spot to your current location so you can easily find your way back again. 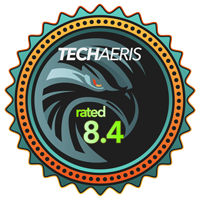 Unfortunately, the iOttie DriveSmarter app isn’t always accurate. Unfortunately, about half the time it pegged my parking location a block away, or more, from where I’d actually parked the vehicle so as a result, it wasn’t very useful most of the time. 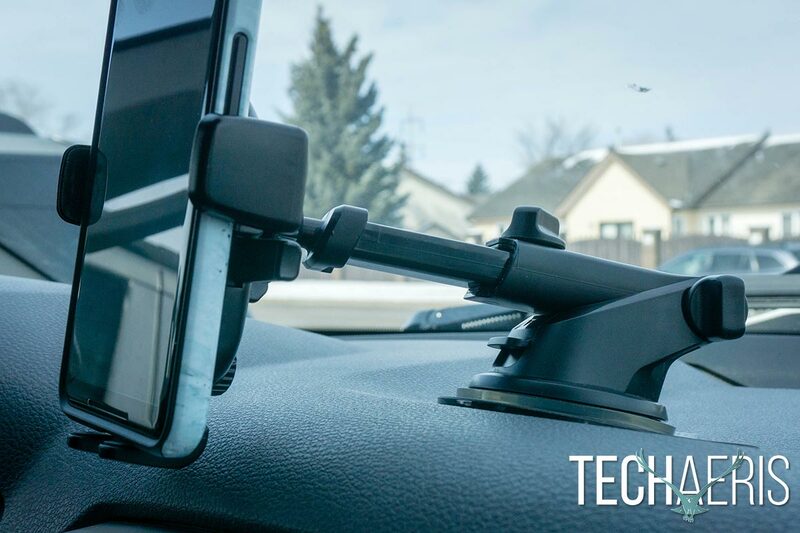 The iOttie Easy One Touch 4 Dash & Windshield Mount holds your smartphone — in our case, the Google Pixel 2 XL — surprisingly well. I was a bit worried given the one-touch design and the smallish size of the foot. The locking side arms hold the phone nice and tight and the foot provides just enough extra support in portrait mode. When used in landscape mode, the arms and foot work equally well holding your phone in place. 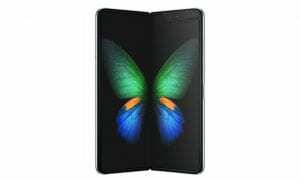 The iOttie Easy One Touch 4 had no issues holding the Google Pixel 2 XL in place. The one-touch release bars and trigger button are super easy to use and it was nice to be able to dock and remove your phone using one hand. Finally, aside from our initial issues with placing the dashboard pad properly, the suction cup does a great job in holding the dock in place in all temperatures from -25ºC to 20ºC once the inside of the vehicle heats up. With an MSRP of $29.95 USD on the iOttie website, the Easy One Touch 4 Dash & Windshield Mount is also available on Amazon for $24.95. Given its solid mounting base, dual dash/windshield mount design, and easy one-touch use, it’s definitely reasonably priced. The iOttie Easy One Touch 4 Dash & Windshield Mount not only offers easy one-touch operation but is mountable in a number of different positions inside your vehicle with easy adjustment options. If you’re looking for a dash or windshield mount that’s easy to use, this is definitely one to consider — just skip the optional software which, unfortunately, does drag the overall score down. 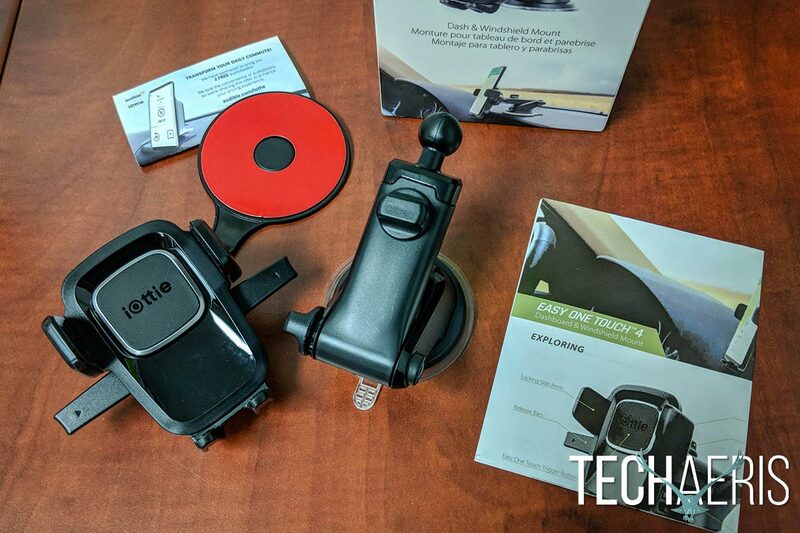 *We were sent a sample of the iOttie Easy One Touch 4 Dash & Windshield Mount for the purposes of this review.